Penny stocks / pink sheets / OTCBB stocks are dangerous because there is very little information about them available to the public. Sometimes to get a financial picture of the company you need to read the SEC filings which can be pretty confusing. Update: Recently trading at $0.015, HSYN has just released a letter to the shareholders about the future direction. Why a stock discussion on AskApache? If you are on AskApache, chances are you are an above-average web-developer or systems administrator, and believe it or not, those skillsets make you qualified to start playing in the market. Use Etrade. So as the portfolio image shows, on 09/18/2006 I invested $357.00 to purchase 14,000 shares of the OTCBB stock HSYN, a company that sells GPS / RFID technology and more recently a water-treatment product to create drinkable water. That investment is now worth $2,310.00, a whopping 529.43% increase in price for a net profit of $1,943.00. As you can see, today alone has netted me $350.00 in gains, which practically means I doubled my initial investment in 1 day! Initially what attracted me to this stock was their use of RFID/GPS tracking technology and their relationship with the United Nations (UN)... Plus I liked how they renamed their company to Homeland Security Network, Inc. for various reasons. At that time in 2006 they were moving the company in a whole new direction, and because the CEO and other employees owned/own signifigant shares of HSYN">HSYN I felt they were personally invested in the success of the company.. and thus the rise of the stock price. So I spent $357.00 but absolutely NOTHING happened for the next 17 months. Because the price stayed relatively stable I just left it in my portfolio hoping it would eventually move up enough to cover the cost of the trade commission. Thats a nervous feeling because you generally shouldn't go LONG on an OTCBB stock as it might disappear along with your entire investment. When investing in penny stocks I ALWAYS do some research on the management to make sure they are serious about the success of the company.. this means checking out how long they've worked there, past jobs, stock options, etc..
To me trading penny stocks is a game that sharpens my skills. IOW, I only invest money that I am willing and expecting to lose 100% of for the reason you mentioned- namely that there isn't any available/accessible information about the companies. So I do a LOT of sleuthing both online and offline and in the process I am learning new/alternative methods to evaluate a company/stock. Its darn near impossible to determine if a penny stock is a good company, let alone an undervalued stock with a stable, uptrending future.. but the excercise is invaluable. Each penny stock I check out gives me added experience so that when I am picking stocks for my 401K or main portfolio I can do more thorough research and make a more informed decision. 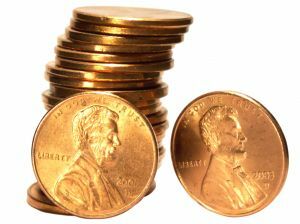 Researching penny stocks is very similar to doing the research needed to hack a web server.. I agree most people won't want to mess with the OTC stocks, but I think most people could afford a $357 bet once a year, as long as they take a long long time to research it. Maybe 1% of your active stock portfolio (not mutual funds, bonds..) could be played in the OTCBB markets. The red line is the moving-average. On January 10, there was a spike in volume, which often means the start of a new trend.. big money is getting in or out for a reason. That date marked the start of this metoric price climb. The reason is because it looks like HSYN is going to be hugely successful in selling their newest water-purifying product to latin america countries due to a successful test in the dominican republic and because they have support from the United Nations. They also own the patent to this product, which is another thing to look for when evaluating stocks. I'm going to hold on to HSYN for a few more weeks and see how high it will climb. But again, penny stocks are mega-risky and you can lose a lot of money, and probably will. One reason is because you can't do sell-stop type orders on OTCBB stocks. So I approach penny-stock investing as if I were in a card game.. You only play with money you can lose. Disclaimer: This report is published solely for information purposes and is not to be construed as advice or a recommendation to buy or sell a security. Trading involves risk, including loss of principal and other losses. Trading results may vary. No representations are being made that utilizing techniques mentioned in this article will result in or guarantee profits in trading. Past performance is no indication of future results. When investing in penny stocks I ALWAYS do some research on the management to make sure they are serious about the success of the company.. this means checking out how long they've worked there, past jobs, stock options, etc..